Cypress Semiconductor Corp., led until recently by one of the chip industry’s elder statesmen, settled on a much younger successor who started in another field. The San Jose, Calif., company on Thursday said Hassane El-Khoury, 36 years old, had been promoted to the positions of president and chief executive and will join the board of directors. 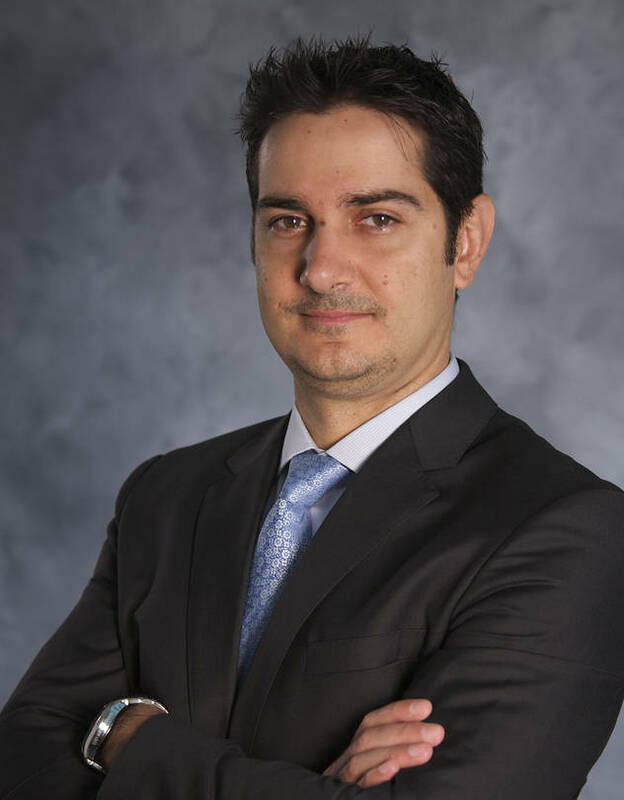 Mr. El-Khoury joined Cypress in 2007 after serving in a series of positions at Continental Automotive Systems Inc., one of the best-known suppliers of electronic products for car makers. Hassane El-Khoury PHOTO: CYPRESS SEMICONDUCTOR CORP. He assumes the CEO title held for nearly 34 years by T.J. Rodgers, who in April announced his decision to step down. Mr. Rodgers, 68, will give up his post as a Cypress director now that a search for his replacement has been completed, the company said. Mr. Rodgers previously said he planned to help lead technical projects at the company, but he and Mr. El-Khoury haven’t worked out any plans. “We are still talking,” Mr. El-Khoury said. Chairman Ray Bingham, 70, was named executive chairman, a staff position with a day-to-day role supporting the CEO, the company said. Cypress, best known for chips called static random access memories, has joined other companies hoping to exploit the push by car makers to add more high-tech features to cars. The company’s chips are now used in a range of automotive applications, including managing touch displays. Mr. El-Khoury, who was born in Lebanon and came to the U.S. to attend college, rose to the rank of executive vice president at Cypress before the new appointment. He helped build the automotive chip business, which accounts for about 33% of the company’s revenue. The company’s shares declined 4% on the news. Cypress lately has been mentioned as a takeover candidate in the fast-consolidating semiconductor industry. Vijay Rakesh, an analyst at Mizuho Securities, said some investors may be disappointed by the appointment on the theory that, as an insider, Mr. El-Khoury would be less inclined to sell the company. Mr. El-Khoury wouldn’t address the notion of a sale specifically, except to say he and the board have a responsibility to do what is best for shareholders.